ajordanxi Your #1 Source For Sneaker Release Dates: Weekend Recap (09/01/2012) : How Did You Do? This past weekend we saw a few new releases such as an Air Jordan 7 Retro, Air Foamposite Pro and LeBron 9 Low. Did you go after any of these if so, how did you do? 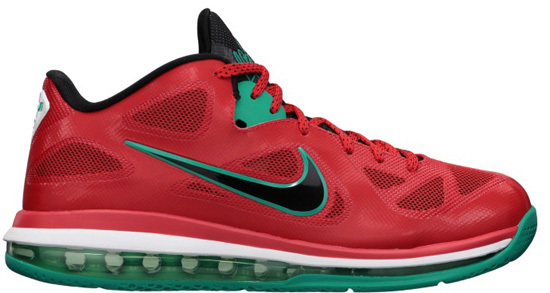 On August 31st, both the "Liverpool" Nike LeBron 9 Low and, the "Crimson" Nike Air Foamposite Pro were released. 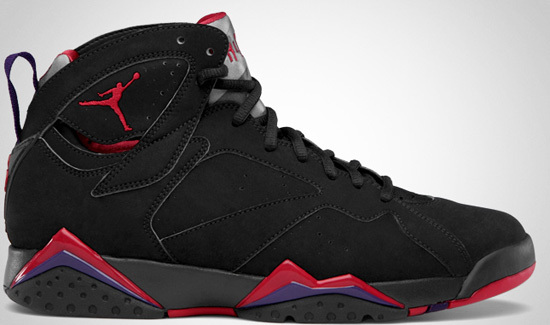 The next day on September 1st, the original black, true red, dark charcoal and club purple colorway if the Air Jordan VII Retro returned for its first time since 2002. Out of the three releases, the Jordan was the only general release however, with the anticipation that surrounded that release, it sold out immediately. All three pairs sold very well but, you might be able to find the LeBron or possibly the Jordan in a few random places. I personally went after the Jordan and the Foamposite. I was fortunate to get both. 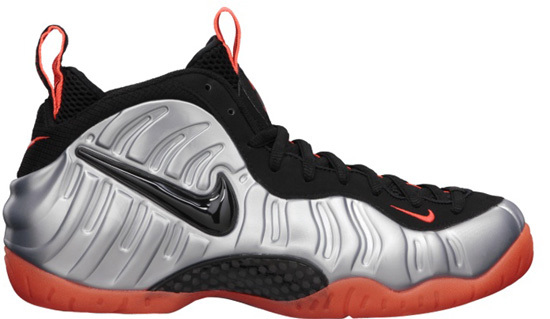 My pair of Foamposite's will be arriving early this week from my good friends at SoleElite.com. They shipped extremely fast and now after having done business with them a few times I can say, I highly recommend them to everyone. As for the Jordan, I took my chances (as usual) online and, was successful once more at FinishLine.com. Now after going 3-for-3 via Finish Line, I think its safe to say they are now my go-to site on launch days. Their ordering system and shipping have been updated 100%. This morning I woke up to my shipping confirmation e-mail with tracking number from Finish Line for my pair of Jordan VII's so, I should receive by the end of this week. So this past weekend I am happy to report I went 2-for-2 on the releases I went after. How did all of you do? If you're looking for the Foamposite's and/or the Jordan VII's, be sure to check out InstyleShoes.com and, SoleElite.com. Once I receive my pairs in the mail, I will be sure to post them on the site.